Wow! Where are the days going? It's already October, even though it still feels like Summer outside! Here at the shop we are gearing up for the holidays. Each week we are getting in orders of new merchandise as we get ready for the holiday season. Some customers have already started their shopping. Enjoy the last bits of warm weather and hope to see you soon! Go Ravens! This is one of the newer designs and very popular! This soap is locally made, smells great and very a great gift for yourself or a friend! Looking for a baby gift? Look no further! 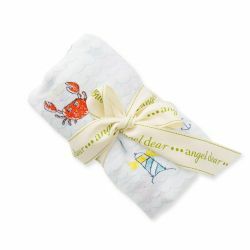 This is a wonderful soft swaddle blanket with crabs and light house on it. 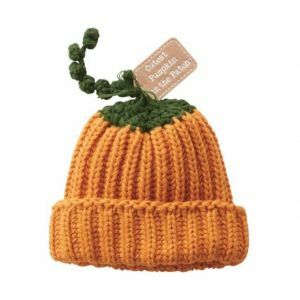 This is the perfect time of year for this adorable hat! 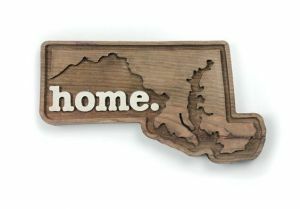 Show your Maryland pride with this plaque, proudly made in the USA! SHARE THE JOY! Forward this email a friend who you think would love our shop. Present this coupon upon checkout in-store to receive 15% off one item. Offer expires 10/31/18. ﻿Linda Amtmann, SOGH or gift certificates. *This offer is good only this month, and is not to be used in conjunction with any other offers. Not valid on previous purchases, sales items, art by Linda Amtmann, SOGH or gift certificates. Thanks for signing up for our newsletter, () ! As a subscriber, you can get $10 to spend at 2910 during the month of your birthday. If your birthday is in the month of October and you can show us proof (driver's license, passport or birth certificate), we will give you a $10 off your total order on any regular priced item in the store. Print out this coupon and bring in to redeem. Coupon must to be presented in person, and is not transferable. It is only for your personal use. Only one coupon per customer can be redeemed for the month on in-stock items. No rainchecks. Cannot be combined with any other specials, sales, or discounts.